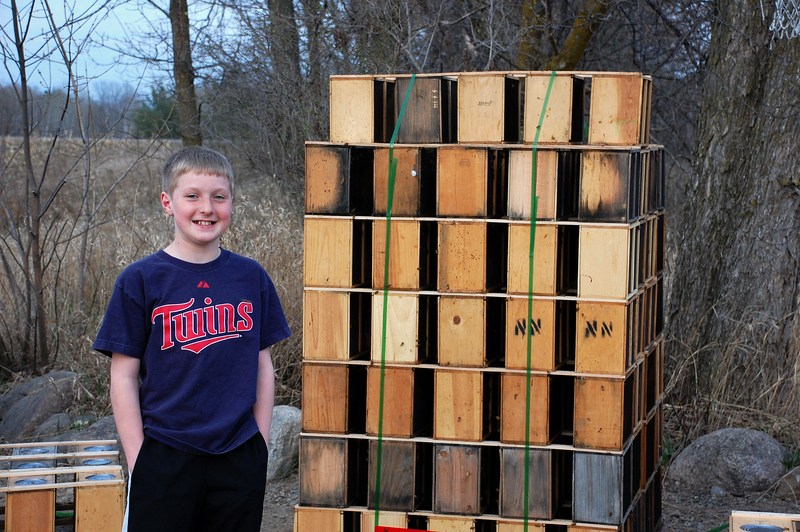 It was our understanding as beginning beekeepers that it was possible to winter our hive here in Minnesota so long as we took steps to help them through the harsh season. 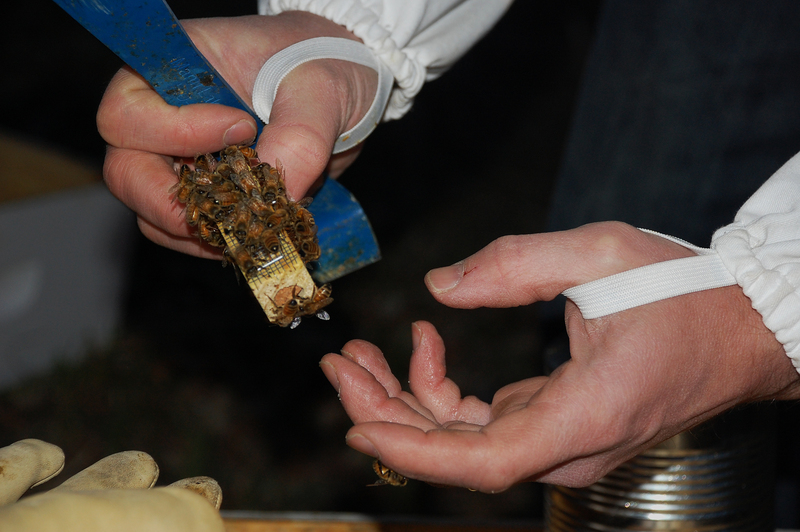 The first task was to provide the bees with sugar syrup (since we harvested most of their honey) for them to cure for their winter food store. We prepared the sugar syrup (a 2:1 ration of sugar to water) and put it into a feeder in the hive. 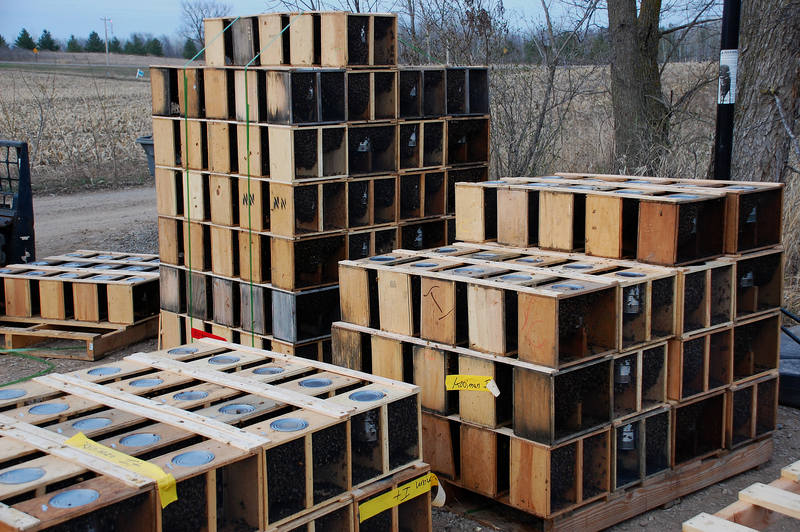 It was still warm enough that the bees were active and they went to work curing the syrup. 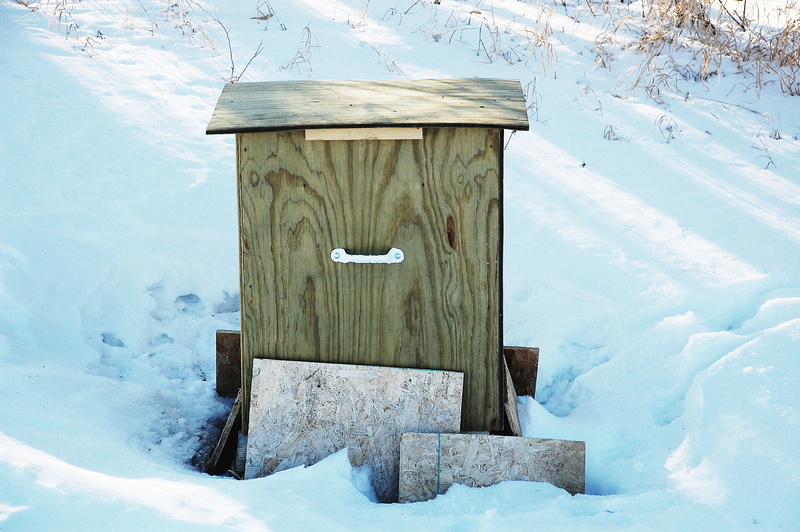 As the cold weather set in, Jesse continued to prepare the hive by building an insulated hive cover to help keep the bees warm and block chilling winds. 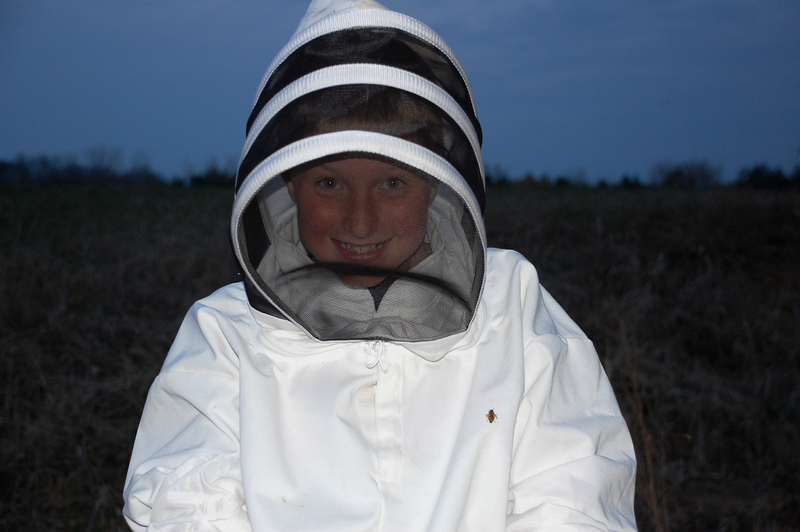 Around the beginning or middle of December when Jesse checked on the bees, they were still alive and thriving in the winter cluster. 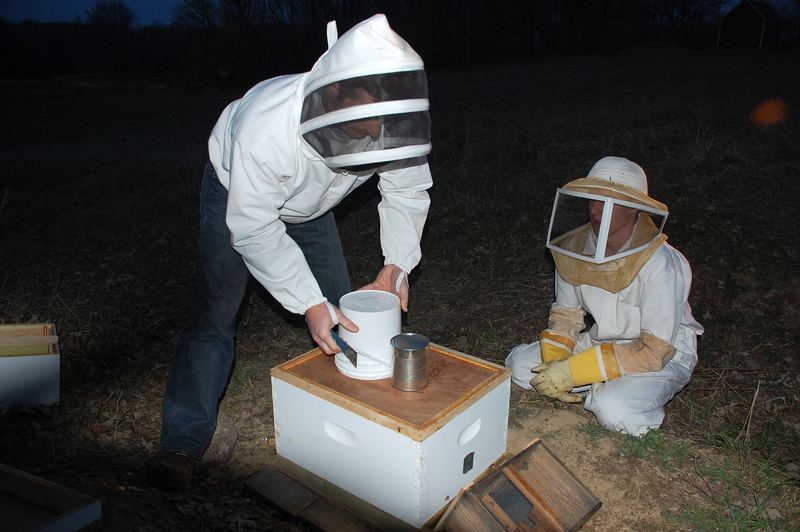 According to our go-to beekeeping information source,“The Beekeeper’s Handbook” by Diana Sammataro and Alphonse Avitabile, bees form a winter cluster in the late fall and winter that expands and contracts as the outside temperatures rise and fall. 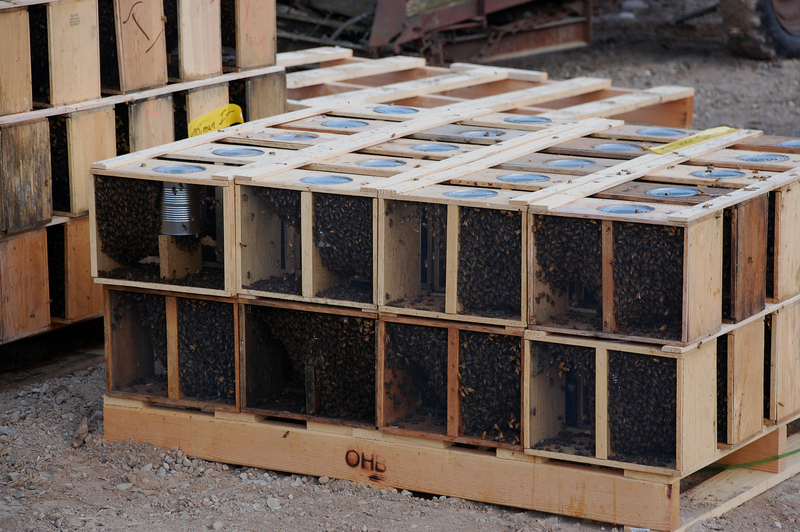 The bees remain active in the cluster and continue about their business. 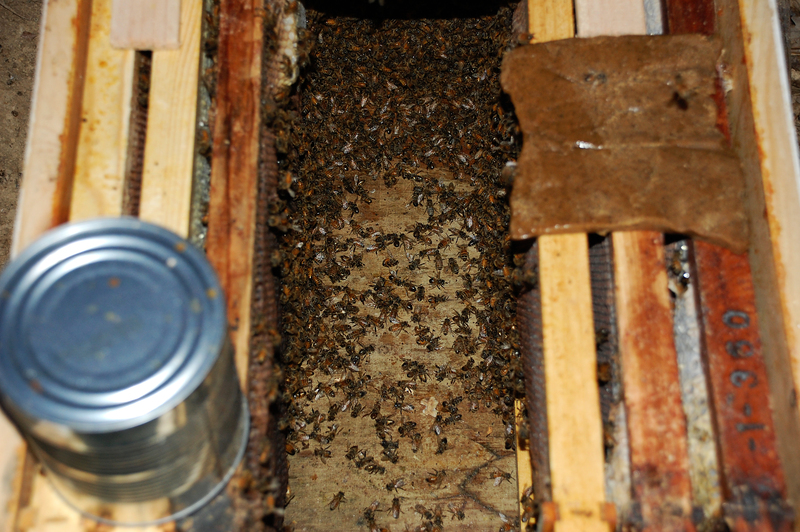 However, their activity continues to produce water vapors, which must be allowed to escape the hive. 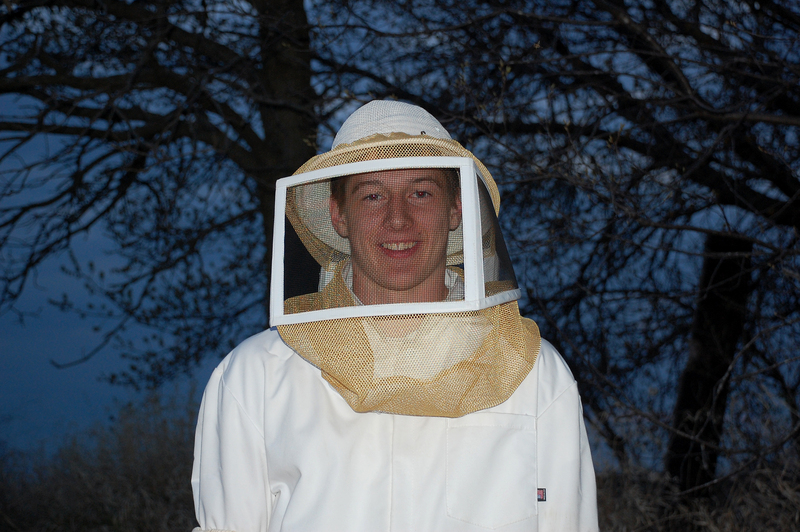 After the extreme cold snap of weather that we experienced over the holidays, Jesse went to check once again on the bees. 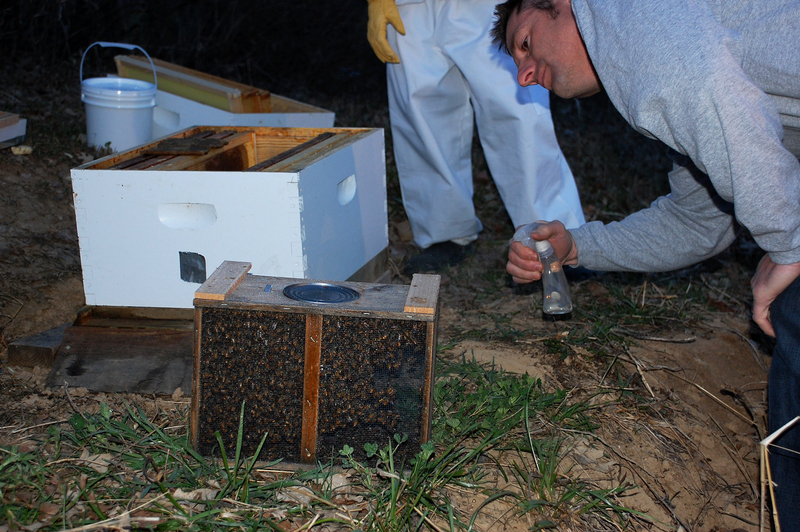 The scene was quite different this time when he removed the hive cover. Silence. No bees. No activity. Nothing. 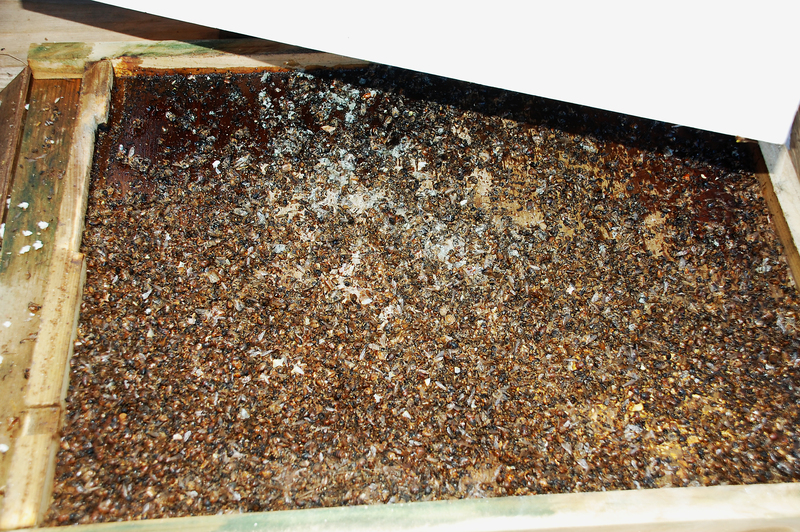 With our limited knowledge and experience, we have concluded that the bees did not have adequate ventilation and that too much moisture built up inside the hive. Another possibile reason for the loss of the bees is those extreme holiday temperatures. In any event, despite our best efforts, we failed our bees. 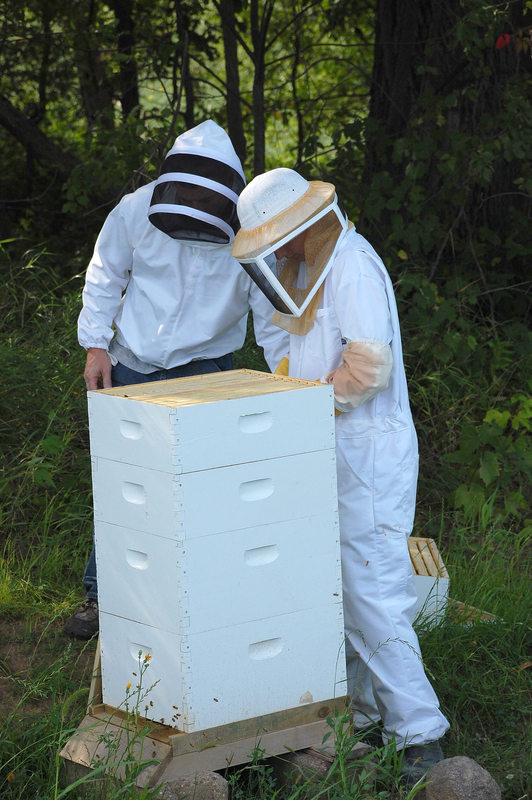 We went out to the hive yesterday to take a closer look. After taking off the cover and lifting off the boxes, we saw the carnage. All of our wonderful, hard-working bees…dead. So we end of our first year as beekeepers with feelings of mixed success. 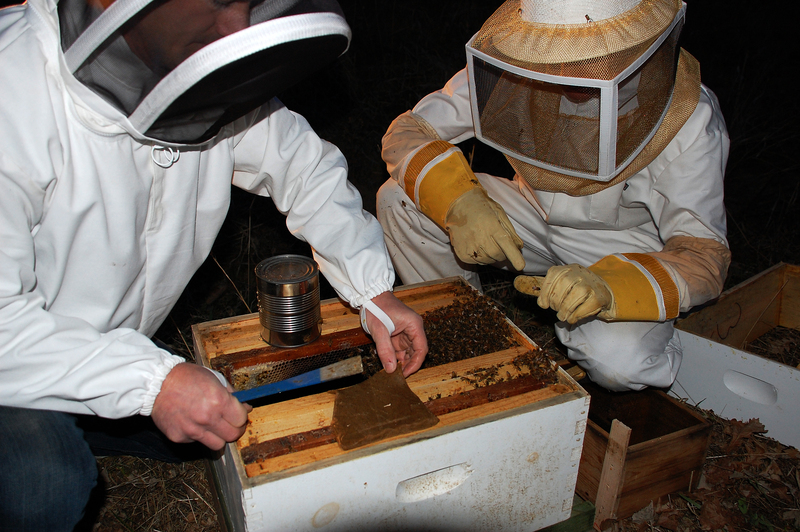 We managed to make it through the summer and fall with no failures in the hive or diseases. 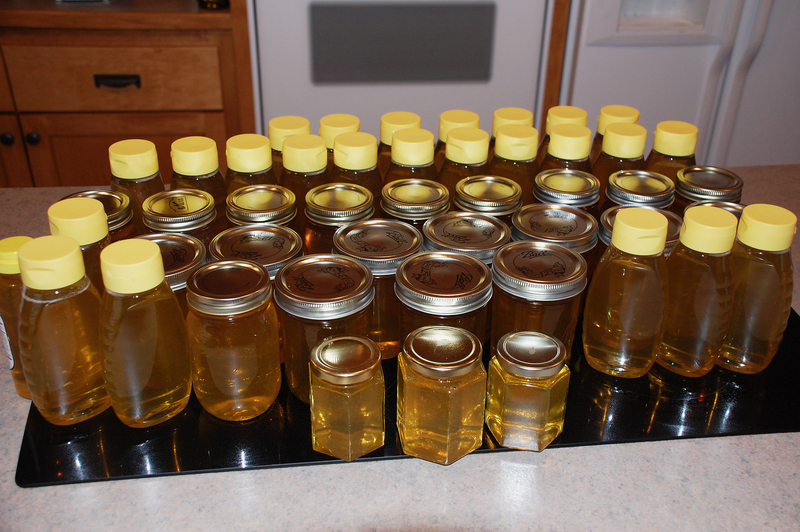 Most importantly, we enjoyed a moderately successful honey harvest for our first year. 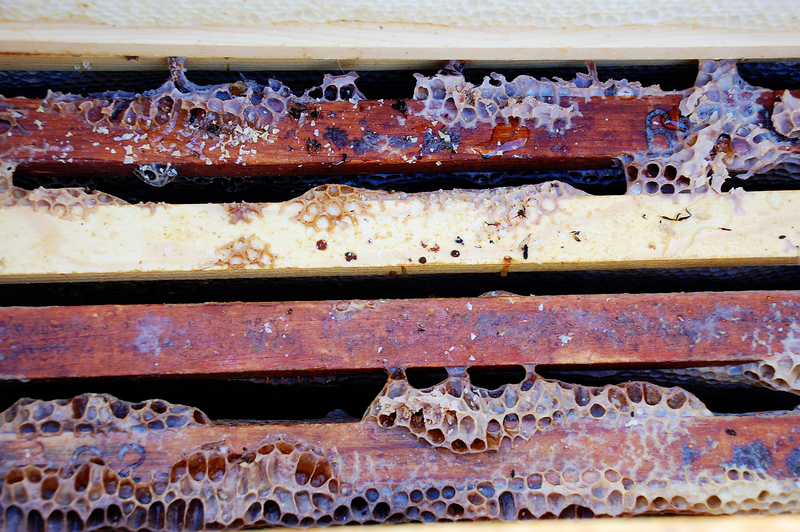 After these successes, the loss of the honeybees this winter is quite disappointing. Like all failures, however, there are lessons to be learned. 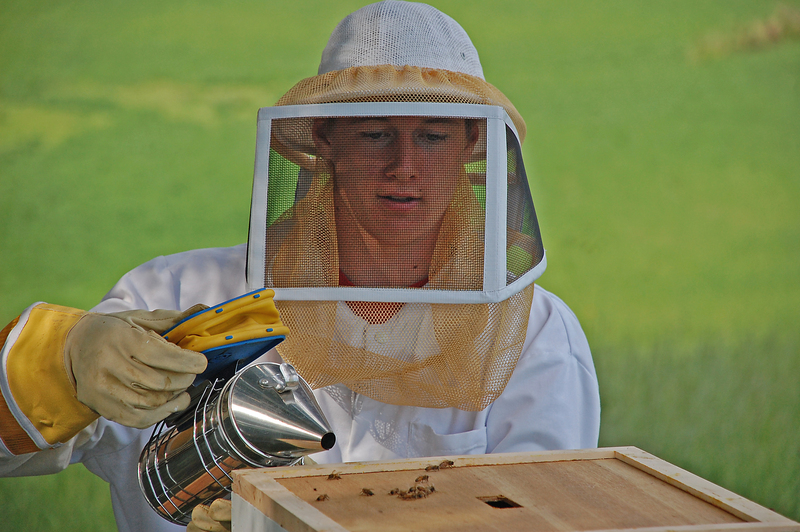 Beekeeping is a fascinating hobby and we intend to continue our education and become more knowledgeable in all aspects of managing bees. 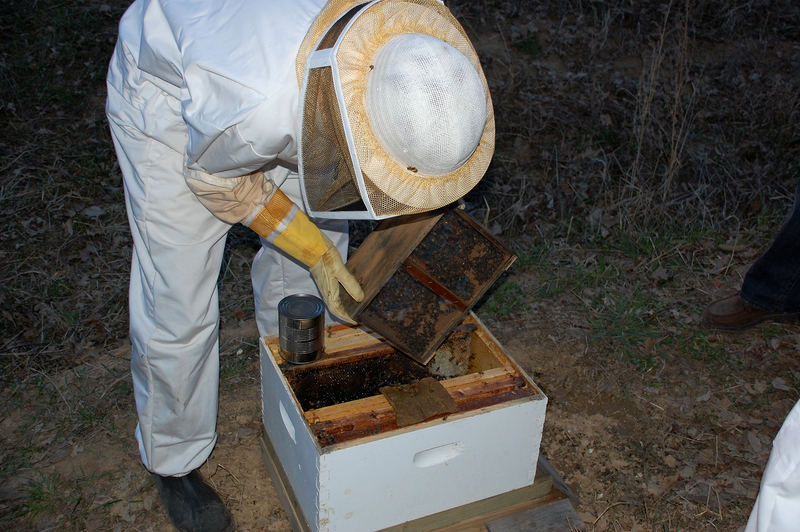 We have already placed our order for two packages of honeybees to arrive some time in April. 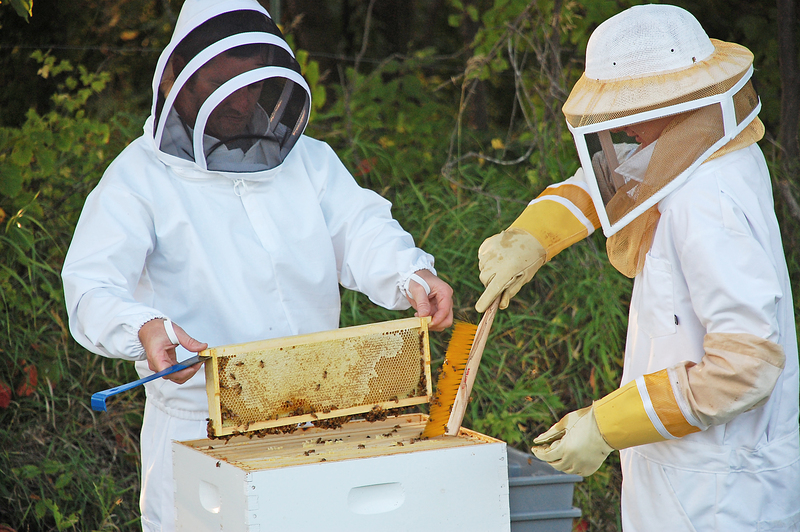 We will also be attending a one day course offered at the University of Minnesota on beekeeping in northern climates this spring. Hopefully our next year with honeybees will have a better ending than our first year! 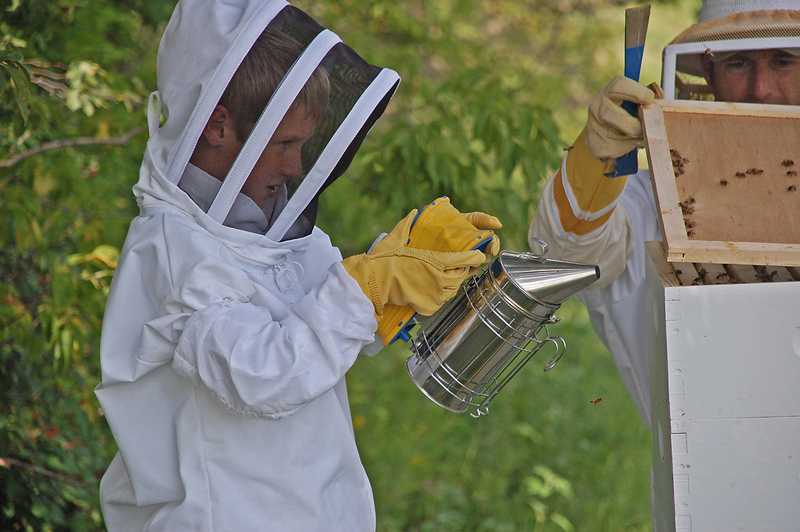 After our first summer as beekeepers, we were fortunate enough to enjoy a moderately successful honey harvest. Jesse collected the full frames from the hive and we brought them into the house to start the messy process of extracting the honey from the comb. 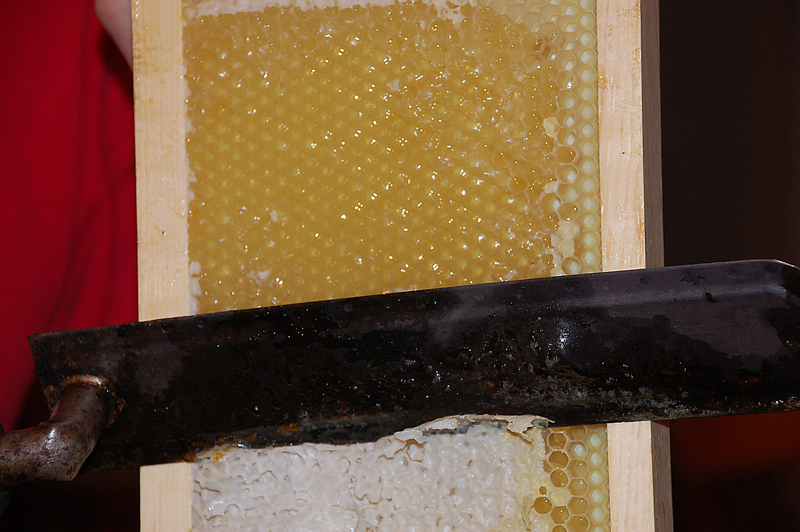 Using an electric uncapping knife, we sliced away the waxy caps of the honeycomb to allow the honey to drain out. The hot knife cuts right through the wax. You can see it starting to ooze out already. 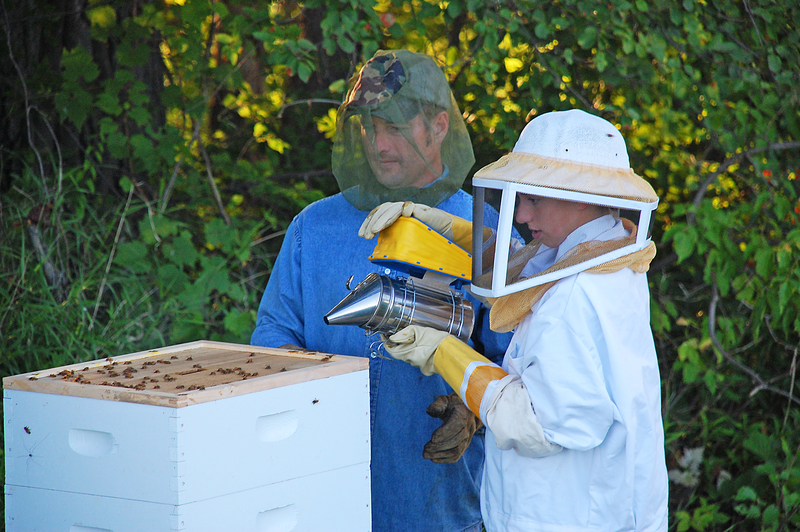 Furthering our investment in beekeeping equipment, we purchased a honey extractor from Mann Lake, Ltd. The extractor holds three frames. Once the frames are uncapped, we placed them into the extractor for spinning. We learned from a demonstration at the State Fair to only partially spin one side out and then turn the frames around and spin the other side out. 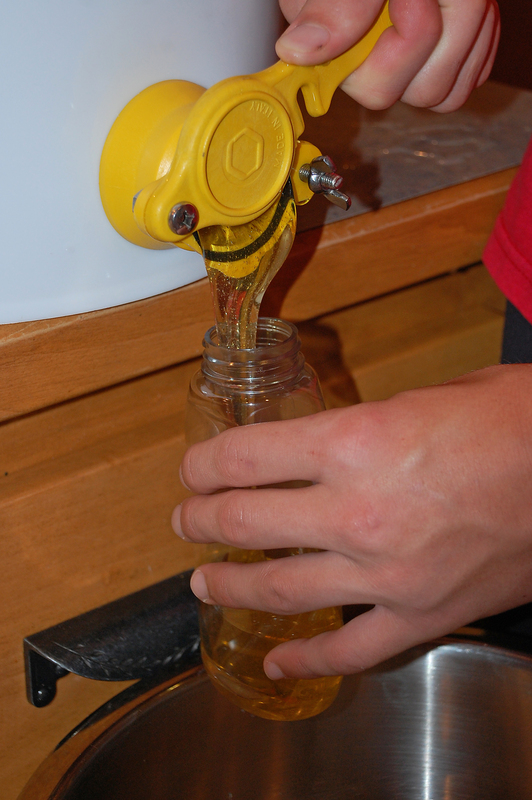 The extracted honey sits in the bottom of the drum until opening the drain valve. 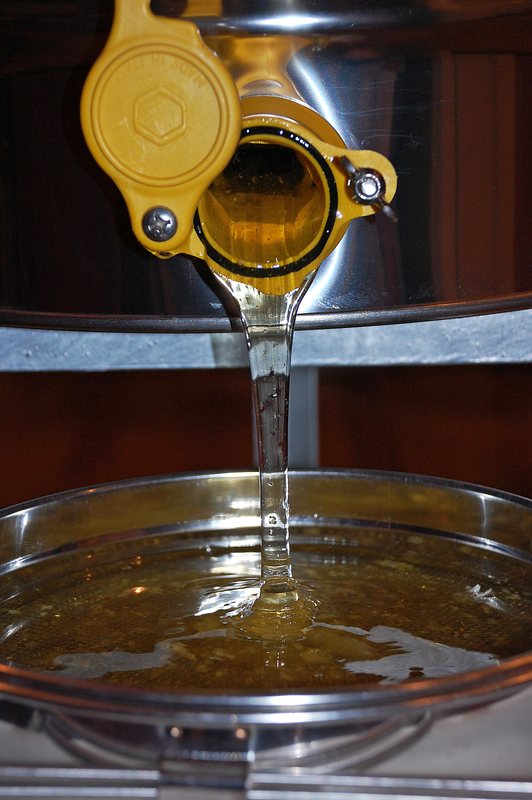 Passing through a double-strainer, the beautiful golden honey drained into a five-gallon bucket. 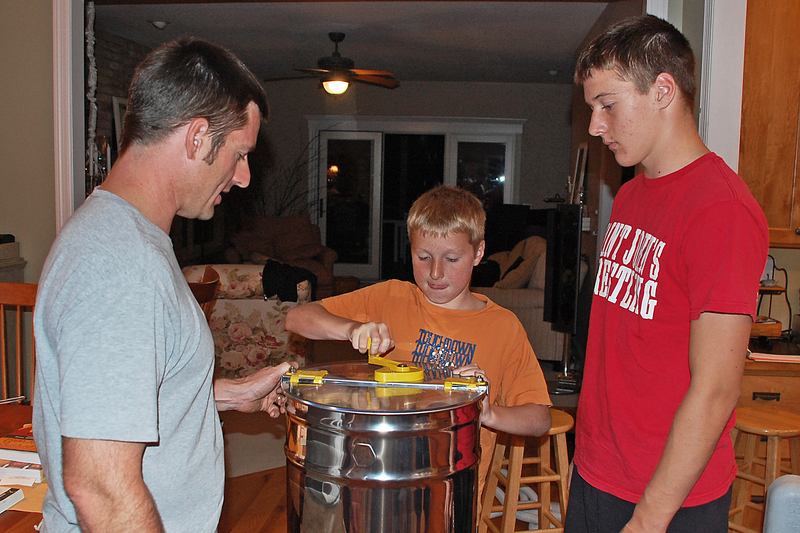 After finishing with the extraction process, we were ready to put our honey into containers. We ordered 25 of these great honey bottles from our favorite bee supply company. 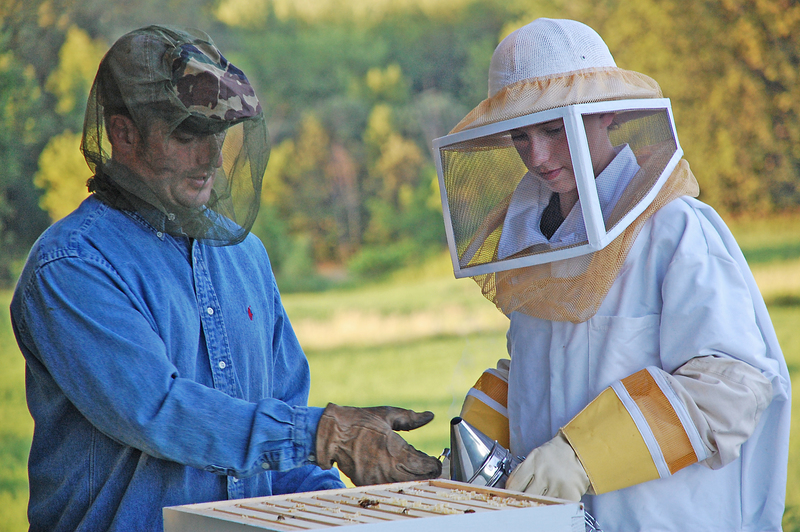 The final total for our bees was in excess of 50 pounds of honey. Not too bad for beginners!